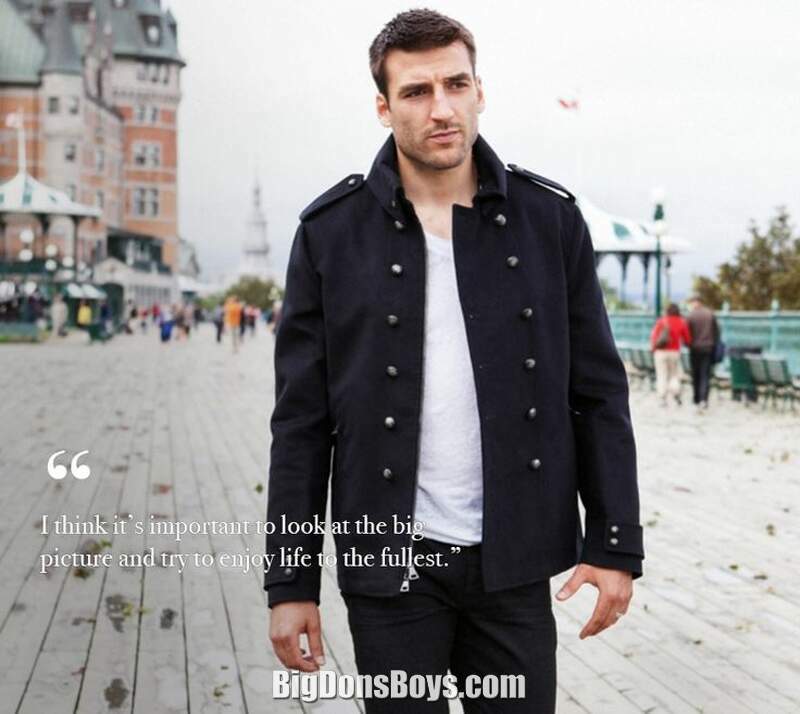 6'2" (1.87m) Patrice Bergeron-Cleary (born 1985) is a Canadian professional ice hockey center and alternate captain playing for the Boston Bruins of the National Hockey League (NHL). Barely tall enough to be on this website, he played junior hockey with the Acadie–Bathurst Titan of the Quebec Major Junior Hockey League (QMJHL) for one full season before being selected 45th overall by the Bruins in the 2003 NHL Entry Draft. He made the immediate jump from junior to the NHL after his draft and joined the Bruins in 2003–04. 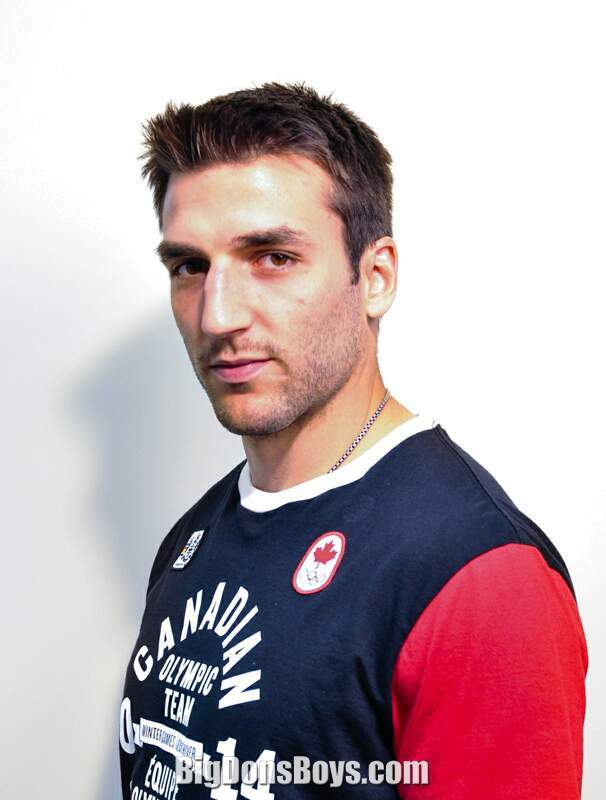 Internationally, Bergeron competes for Team Canada and has won gold medals at the 2004 World Championships, 2005 World Junior Championships, 2010 Winter Olympics, and 2014 Winter Olympics. 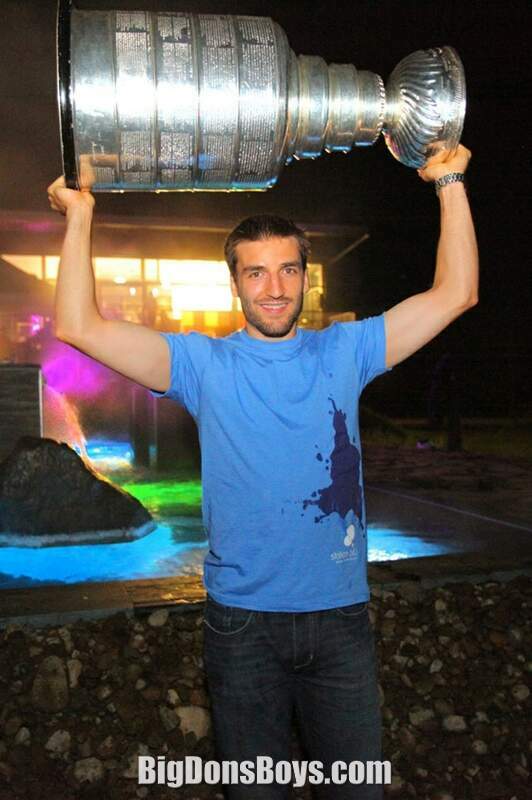 Bergeron is the most recent member of the Triple Gold Club after he won the Stanley Cup with Boston on June 5, 20. Bergeron scored two goals including the Stanley Cup winning goal at 4:37 of the first period of Game 7 at Vancouver. He is considered to be one of the premier two-way forwards in the game today. 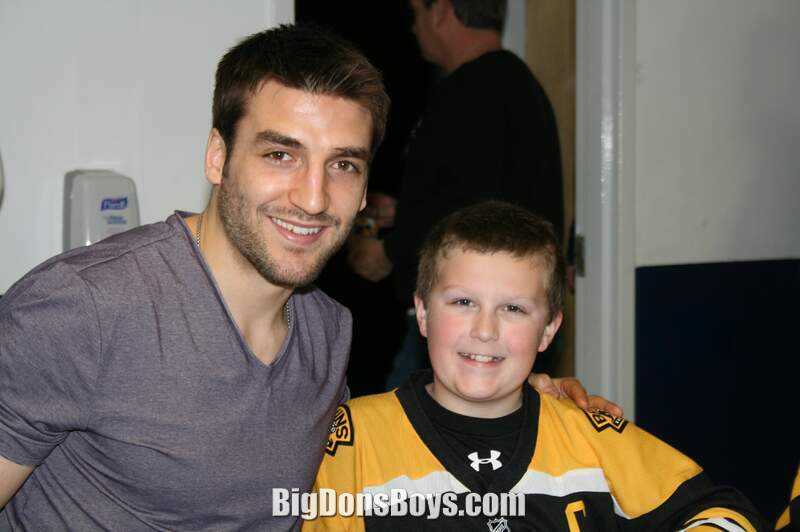 Bergeron was drafted in the 2003 NHL Entry Draft by the Boston Bruins 45th overall. 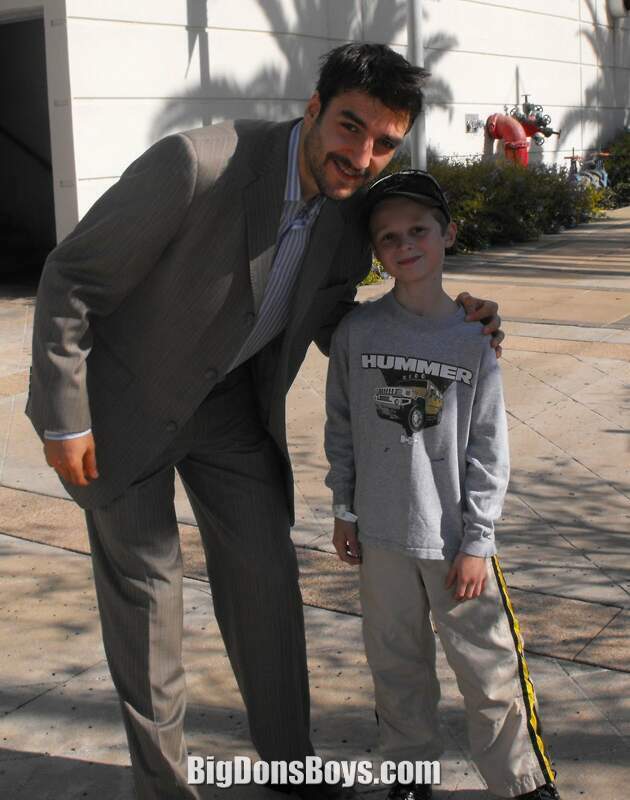 During his rookie season, Bergeron was selected for the NHL YoungStars Game in Minnesota as part of the 2004 All-Star weekend. He finished his rookie season with 39 points in 7 games. Due to the 2004–05 NHL lockout, Bergeron played for Boston's minor league affiliate, the Providence Bruins of the American Hockey League (AHL); he tallied 6 points in 68 games. As the NHL resumed the following season, Bergeron led the Bruins with a career-high 3 goals and 73 points. He played the majority of the season with line mates Brad Boyes and newcomer Marco Sturm, who had been acquired in a trade that sent captain Joe Thornton to the San Jose Sharks in November 2005. The Bruins general manager at the time, Mike O'Connell, recalled in a June 20 interview that the organization had made a decision to build the team around Bergeron instead of Thornton, preferring the former's on- and off-ice character. At the end of the year, Bergeron was selected by the Bruins to receive the team's 7th Player Award as the player most deemed to have exceeded expectations. Playing under a defensive system employed by new head coach Dave Lewis, he recorded his second consecutive 70-point campaign in 2006–07 with 22 goals and 48 assists. He played alongside Marco Sturm and Brad Boyes until Boyes was traded late in the season. He was hampered the majority of the season by a nagging shoulder injury. After recording 3 goals and 4 assists in the first 0 games of the 2007–08 season, Bergeron suffered a season-ending head injury during a game on October 27, 2007. Checked from behind by Philadelphia Flyers defenseman Randy Jones, Bergeron hit his head on the end-boards, knocking him unconscious. He lay motionless on the ice for several minutes before being wheeled off on a stretcher and taken to Massachusetts General Hospital, where he was diagnosed with a broken nose and a grade-three concussion. Jones received a two-game suspension from the NHL. Bergeron made his first public statements regarding the injury on November 8, saying that he would not take any legal action and that Jones had tried to contact him to apologize. On January 9, 2008, the Boston Globe reported that he had been sent on a vacation by Bruins general manager Peter Chiarelli and that he would likely sit out for the remainder of the season as his recovery had regressed. In March 2008, he started preliminary on-ice practice with Bruins goaltender Manny Fernandez, who was himself recovering from knee surgery. He steadily progressed into full-contact practices in early-April, aiming for a playoff return against the Montreal Canadiens in the opening round; he was held back by team doctors. 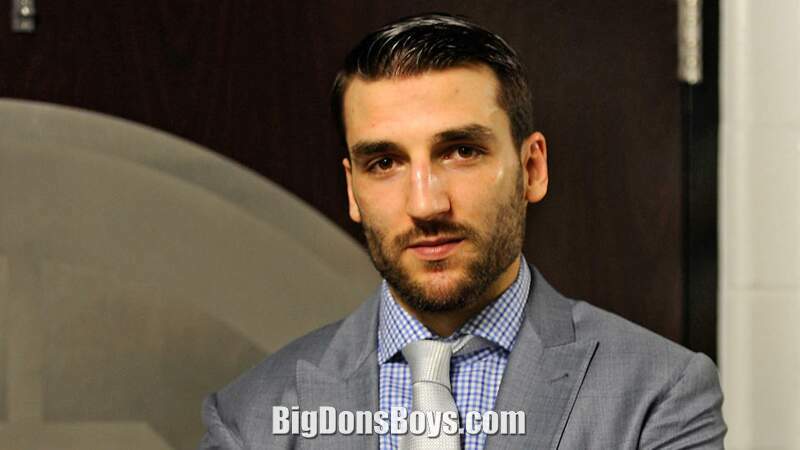 In June 2008, Bergeron was reported as being symptom-free during off-season training. He participated in the Bruins' summer development camp (typically for Bruins prospects) with Fernandez, before joining the Bruins' main training camp. He returned to action with the Bruins for the team's pre-season opening game on September 22, 2008, against the Montreal Canadiens, an 8–3 victory played in Halifax, Nova Scotia. Bergeron skates towards the net during a game against the New Jersey Devils in February 2009. After the 2008–09 season began, Bergeron scored his first goal since his concussion on October 23, 2008, in a 4–2 home game loss to the Toronto Maple Leafs. Two months later, in a game against the Carolina Hurricanes on December 20, 2008, Bergeron collided with opposing defenseman, and future Bruin Dennis Seidenberg, suffering another concussion. He lay face down on the ice while being attended to by team trainers and eventually left the ice under his own power. He was released from the hospital the day after the collision and placed on injured reserve. (Seidenberg and Bergeron later became teammates on the Bruins after a trade for Byron Bitz to the Florida Panthers in 200 to get Seidenberg.) 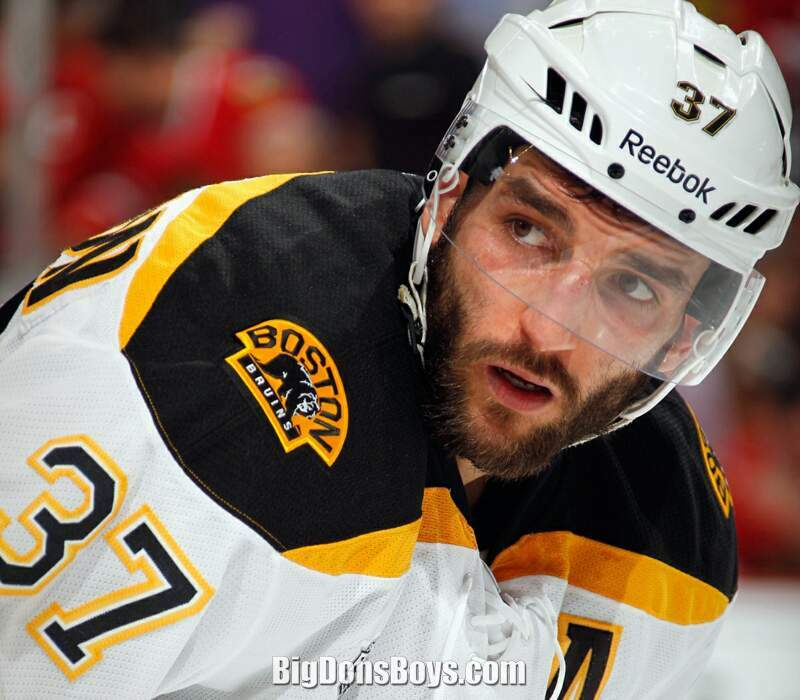 Bergeron returned after being sidelined for a month and completed the season with 39 points in 64 games. In the 2009 Stanley Cup Playoffs, Bergeron recorded his first career fighting major in a scrap with Montreal's Josh Gorges. 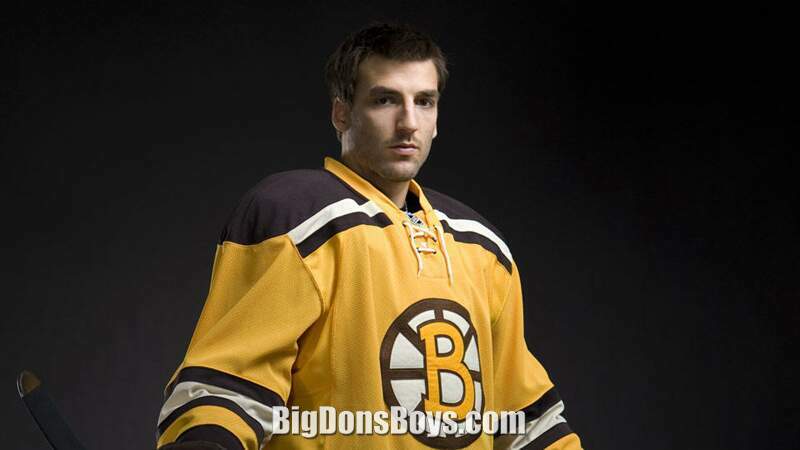 In 2009–0, Bergeron scored 52 points while playing on a line with winger Mark Recchi. During the 2010 playoffs, he scored 4 goals and added 7 assists for points in 4 games. The following season, Bergeron scored his first career NHL hat trick in a Bruins victory over the Ottawa Senators on January , 20. 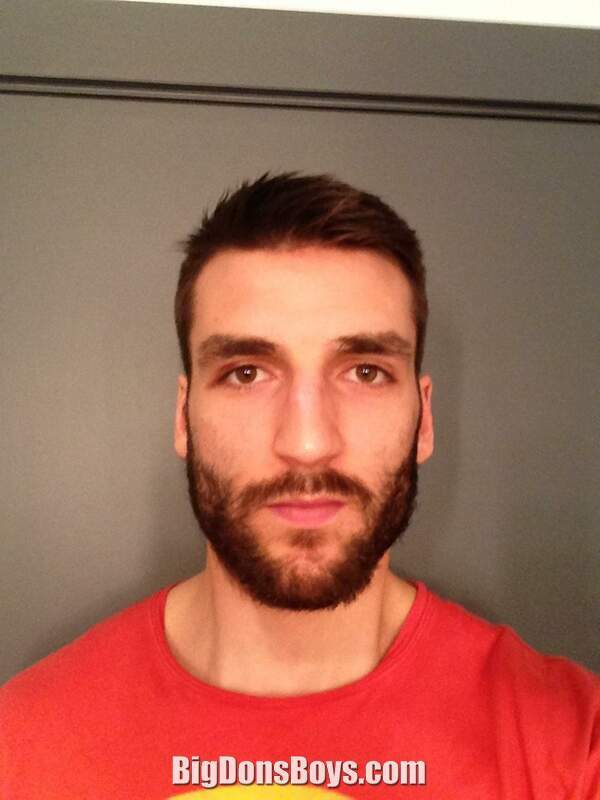 Bergeron was named the NHL's first star of the month and was twice named first star of the week in January 20. Bergeron has been in two post-season fights in his entire NHL career, on April 8, 2009, in game 2 of the Eastern Conference Quarter Finals. Josh Gorges reached out and hit Bergeron in the jaw, and Bergeron retaliated by pummeling Gorges with two huge left punches. This was a seen as a huge motivator for the series. The second came on June , 2013, in game of the Eastern Conference Finals. He and Evgeni Malkin began squaring off at center ice leading to Malkin knocking off Bergeron's helmet before they both threw off their gloves to fight. The two continued to throw blows even while referees attempted to separate them. Bergeron was once again concussed after a hit from Claude Giroux on May 6, 2011, in game 4 of the second round in the 20 playoffs. It is believed to be a mild concussion that kept him out of the beginning of the 3rd round of the playoffs. 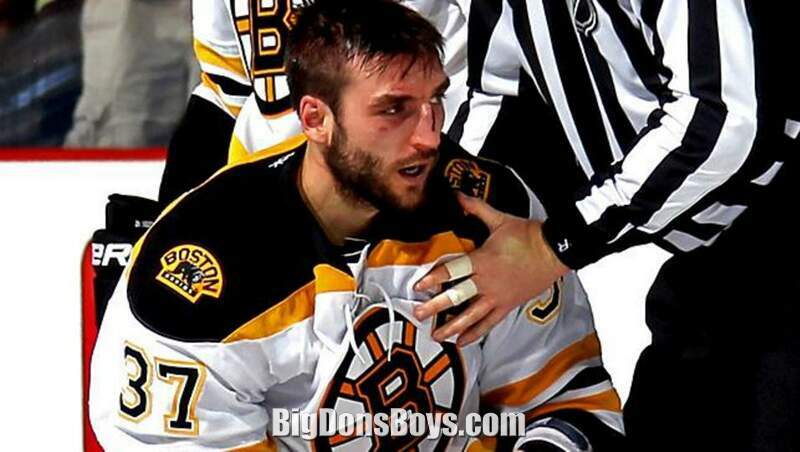 On June , 20, with the Boston Bruins, Alex Burrows allegedly bit Bergeron's finger. No penalty was called and the league did not fine or suspend Burrows because the alleged bite was not supported by any evidence except video of Burrows biting Bergeron's glove while his hand was still inside it and bite marks on Bergeron's finger. 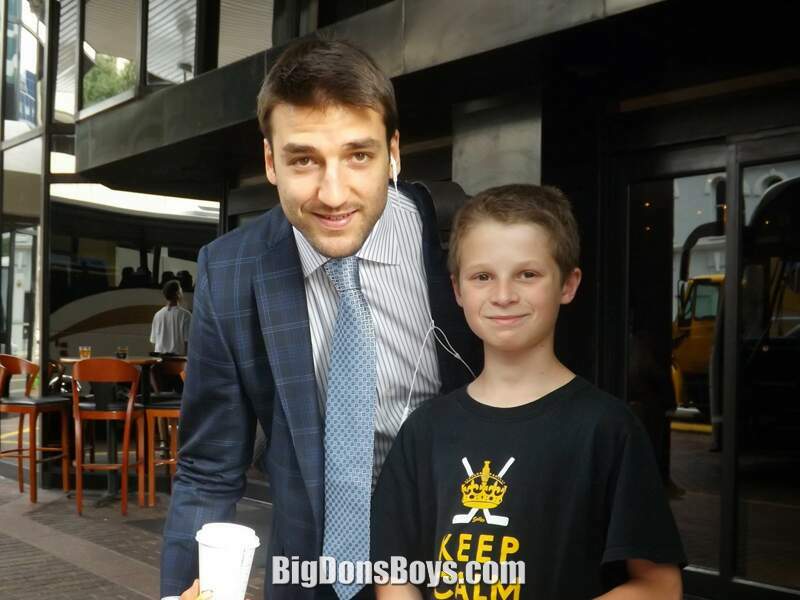 Bergeron became the 26th member of Triple Gold Club on June 5, 2011, with the Bruins when they won the Stanley Cup. He scored two goals in Game 7 of the series, including the game (and series) winner. 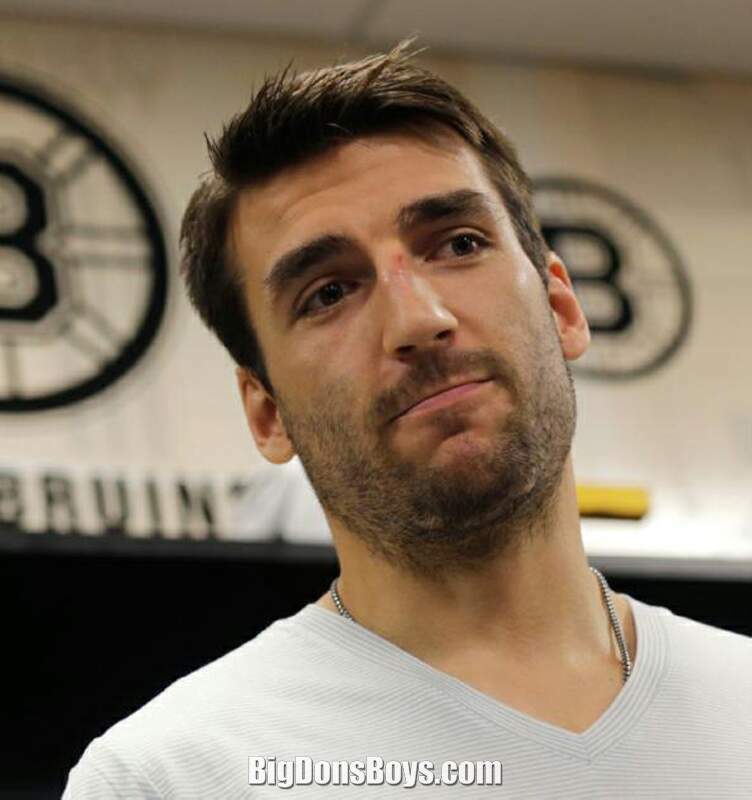 On the Stanley Cup, Bergeron is listed by his birth name, Patrice Bergeron-Cleary. After the close of the 2012 NHL playoffs, even with the Bruins team eliminated in the first round by the Washington Capitals, Bergeron's constant defensive efforts on the ice earned him the Frank J. Selke Trophy as the NHL's top defensive forward for the entire 2011–12 NHL season. 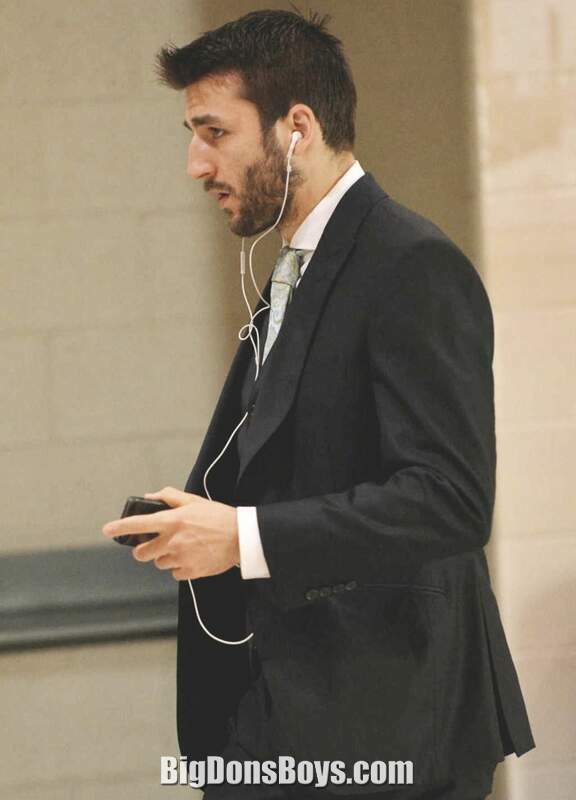 After finishing 2nd in Selke Trophy voting for the shortened 2013 season, Bergeron turned in a heroic playoff performance which included the tying and game winning goals against the Toronto Maple Leafs in Game 7 of Round , and the OT winner in Game 3 of the Eastern Conference Finals against the Pittsburgh Penguins. 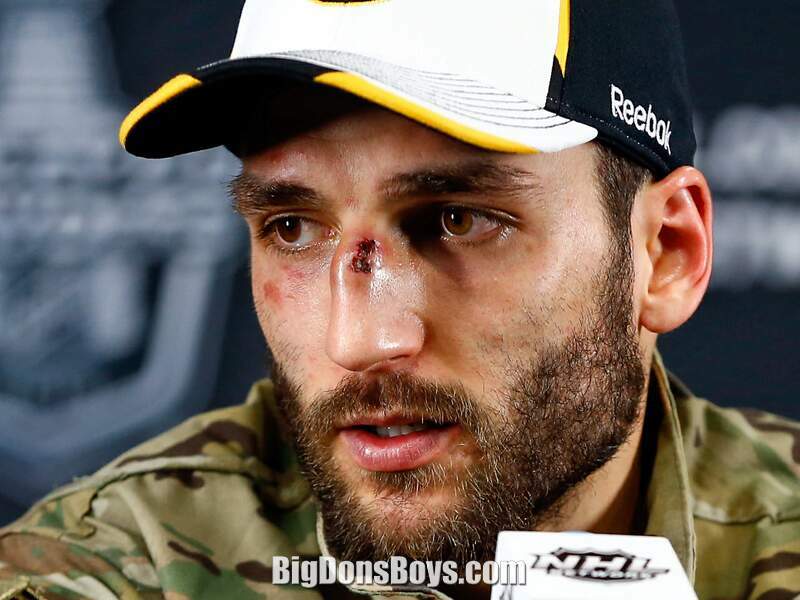 Bergeron also became renowned in the hockey world for displaying his toughness when, in the Stanley Cup finals, he played through a punctured lung, separated shoulder and a broken nose. The Bruins re-signed Bergeron to an eight-year contract extension worth $52,000,000 ($6,500,000 per year) on July 2, 2013. 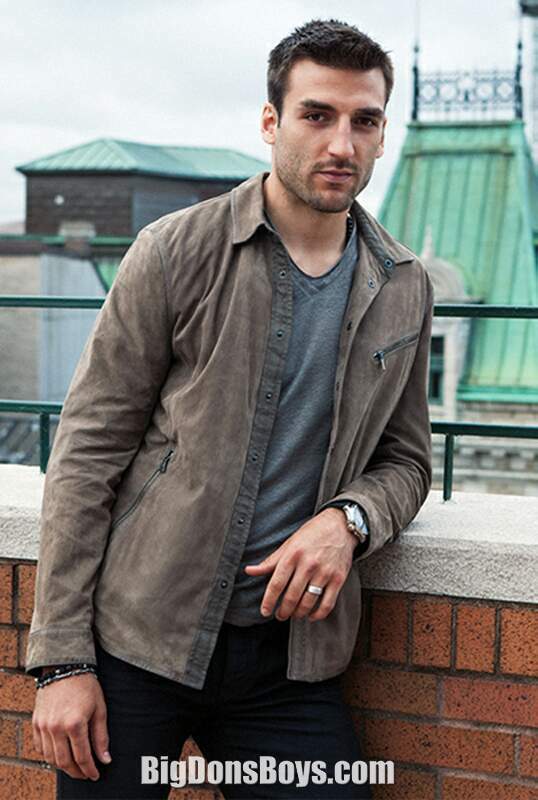 In the following 2013-14 season, Bergeron reached the 30-goal mark for the second time in his career, achieving a total of 30 goals and 32 assists, and was a major factor as the team earned the Presidents Trophy. 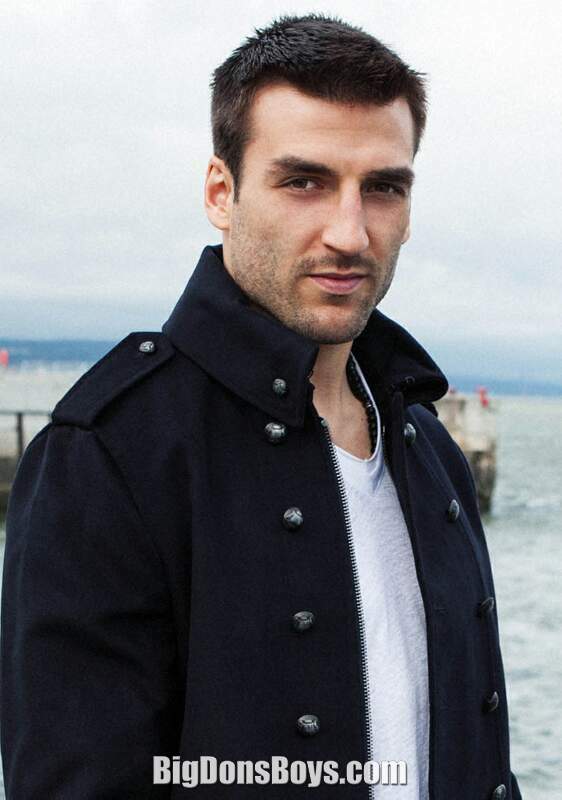 For his performance in the regular season, Bergeron was awarded his second career Frank J. Selke Trophy, as well as the NHL Foundation Player Award. He was named as the cover athlete for the NHL 5 video game in the same ceremony. 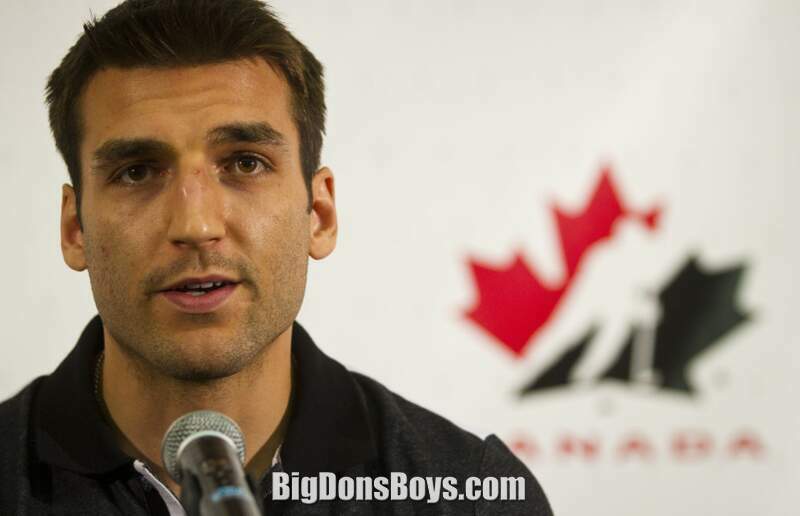 On December 30, 2009, Bergeron was selected to play for Team Canada for the 2010 Winter Olympics in Vancouver. He was the only player selected who did not receive an invitation to the selection camp earlier in the summer. Many commentators predicted Bergeron would play on a line with Crosby due to his previous experience with him at the World Juniors and World Championships but he ended up as the 3th forward due to a groin injury obtained in Canada's first game. He played primarily on the penalty kill and in defensive-zone faceoffs. During the 2012–13 NHL lockout, Bergeron played for HC Lugano and competed for Canada at the 2013 Spengler Cup, along with teammate at the time, Tyler Seguin. Canada took gold in the event, and Bergeron scored the first goal in the first minute of a 7–2 Canada rout over HC Davos, and added three assists. 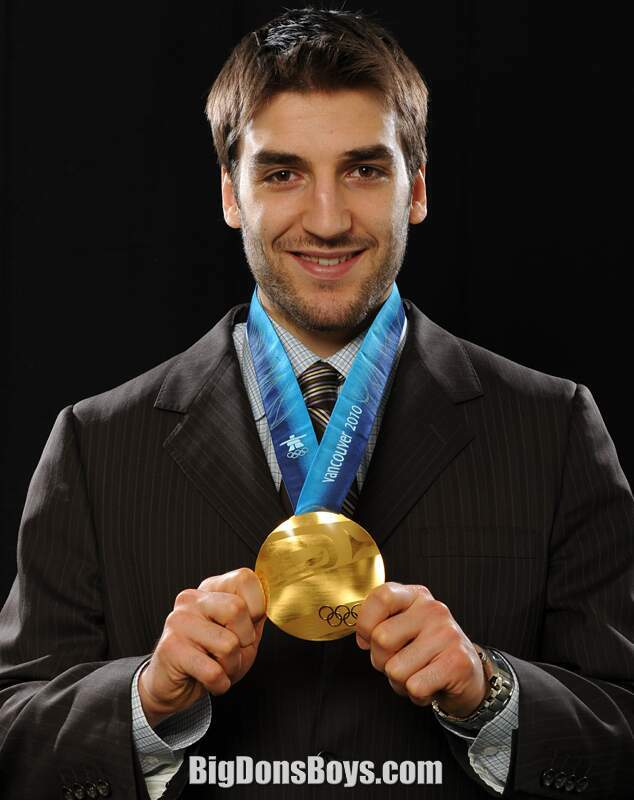 Bergeron won his second gold medal with Team Canada at the 2014 Winter Olympics. Bergeron and Jonathan Toews joined Scott Niedermayer in being the only players to have two Olympic Gold Medals, a Stanley Cup, a World Junior Hockey Championship, and a World Championship. 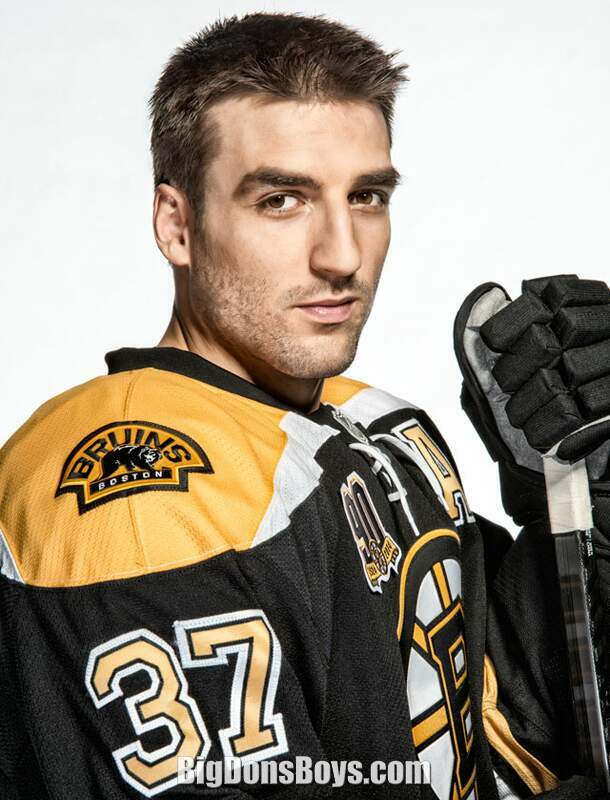 Boston Bruins forward Patrice Bergeron wins the 204 Frank J. Selke Trophy at the 204 NHL Awards in Las Vegas.